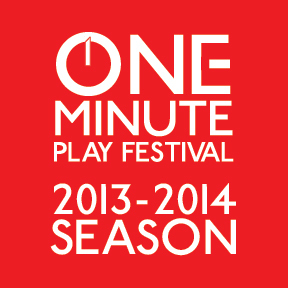 My play "Tragedy" will be featured in the upcoming One Minute Play Festival from January 4 - 6 at Boston Playwrights Theatre in Boston, MA. "Tragedy" will appear in a "clump" of plays directed by Hatem Adell to feature Rick Chason, Rachel Kurnos, Jeff Marcus, Zach McCoubry, Tony Rios and Ashley Risteen performing plays by Mary Conroy, James C Ferguson, Deirdre Girard, Kirsten Greenidge, David Valdes Greenwood, Fiona Kyle, Walt McGough, Mike Meadors, Rick Park and myself. Click here to learn more about the OMPF.